Need to travel overseas during Chinese New Year? 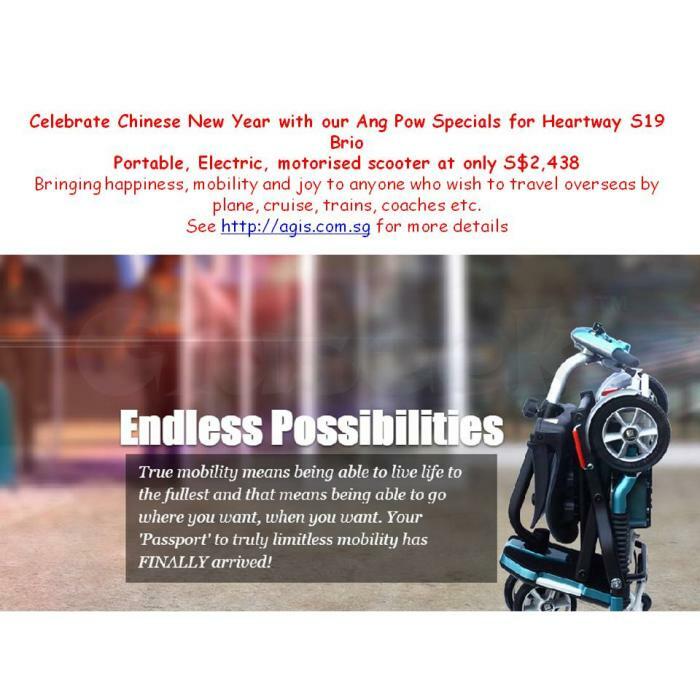 Rent or buy the best portable Heartway portable motorised scooters, S19 Brio. Heartway S19 Brio is able to fold up to luggage size, weighs 27 kg, able to travel up to 20 km for 115 kg body weight. Airlines, cruise, coach, buses and mrt friendly. see http://agis.com.sg for more details. Chinese New Year specials with additional $150 discount. Also available other models range from S$1,288 onwards.